You can click on the green Add Item button to add items that were omitted during the initial inventory setup. A screen will appear asking for item information. Key in all required information including Item Name, Category (if you'd like it to appear in the app), Price, whether it is taxable or not, and if so which tax rate to apply to that item. More item options are available in the POS Portal such as item printer, move to front, secondary tax and more. So if more options are desired, you can edit the item in the POS Portal Inventory tab, and add more details. 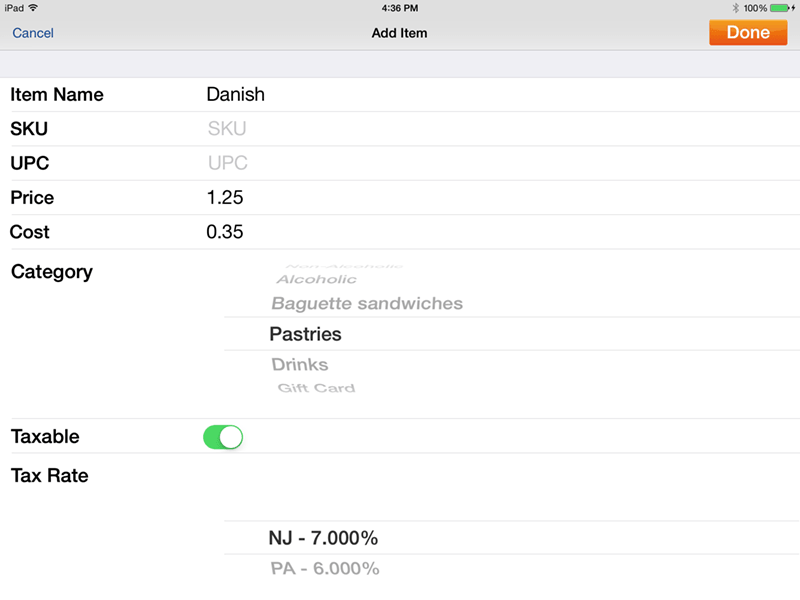 Tip: You can add the UPC/SKU code by using the bar code scaner.